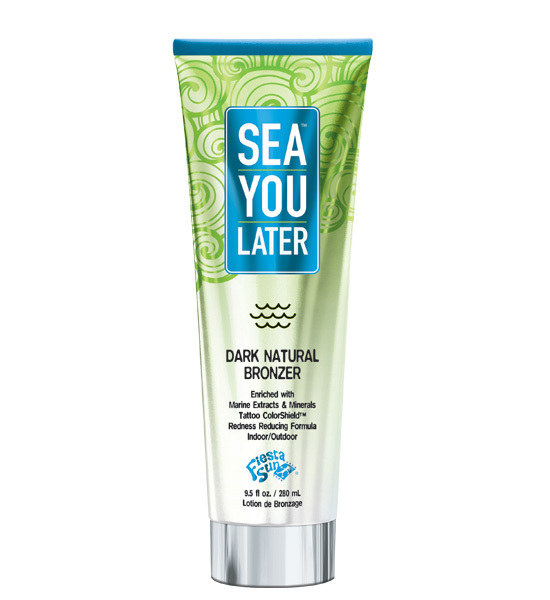 Sea you Later pale skin and say hello to this Dark Natural Bronzer that will leave you with the perfect amount of color while further darkening as the day goes on. Enriched with Marine Minerals and Extracts that help provide nourishment for brighter, beautiful skin plus anti aging benefits for a younger looking appearance. Anti Reddening Peppermint Leaf Extract helps reduce redness for softer skin while allowing that bronze glow to shine through. It’s never too late. • Natural Streak Free Bronzers help skin to further darken after UV exposure for a deeper, darker, more natural looking tan.